Propane is the most widely used alternative fuel in residential homes, commercial businesses, and agricultural farms in Byron Center, Michigan. It provides efficient, clean energy, low-cost fees for home owners, business owners and farm owners. Anywhere you are in Byron Center, Michigan, Dependable LP Gas Co. can service your home or business establishment. We offer residential, commercial and agriculture propane services throughout Western Michigan. You will find our rates competitive and our service prompt. We won’t charge you for the lease of the tanks and will maintain them for you as well, ensuring that you have no leaks or blockages in your tanks. We do not charge installation fees either. Everything will be done at your convenience. We believe that you deserve it! Our 24/7 emergency service will see to that, or for any problem you may encounter. 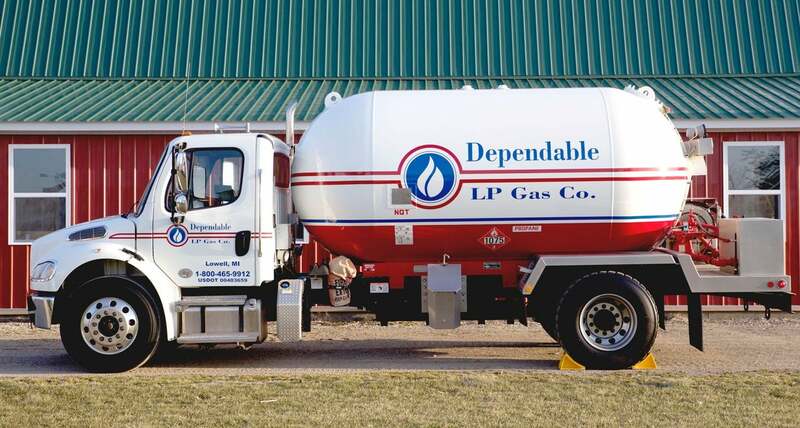 If you have any questions about our residential, commercial and agriculture premium propane services, do not hesitate to call us at: 616-897-4225 and 1-800-465-9912 or e-mail us at chris@dependablelpgas.com. We look forward in serving you anywhere in Byron Center, Michigan!